Since 1999, Mannes has presented a yearlong music festival every year. Each festival includes more than 20 events performed by the school's gifted young student artists, distinguished faculty members, and renowned guests, at prestigious New York City concert venues and cultural institutions. 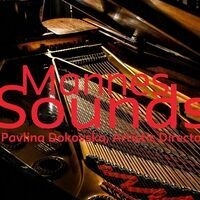 The festivals are an outstanding component of the total Mannes program. Curated by Thomas Sauer, "Music of the Elements: Earth, Air, Fire, and Water" will feature music by Berio, Debussy, Kernis, Scriabin, and Ligeti.